NEW YORK, NY--(Marketwired - Sep 7, 2017) - Lotame, the leading independent data management platform (DMP) and most trusted and comprehensive data exchange, today announced the appointment of Eric Marterella as Chief Revenue Officer (CRO). Marterella is based in Lotame's New York City office and is responsible for overseeing all revenue-focused and client retention initiatives worldwide. "I am honored by this opportunity to join the amazing team at Lotame and grow the successful business that the team has built over the past decade," said Marterella. "As one of the only remaining independent DMPs, Lotame is uniquely positioned to thrive because of its agility and ability to deliver best-in-class customer service to its wide range of global clients that I'm proud to start serving." Marterella joins Lotame from Sprinklr where he served as a Global Vice President and was instrumental in increasing revenues for nearly five years. During Eric's tenure, Sprinklr grew from a $20 Million valuation and 30 people to a $1.8 billion valuation and over 1,200 people. While at Sprinklr, he held the highest employee retention and promotion rate across the company throughout his tenure. Eric has over 18 years of international sales leadership experience at companies such as Digex Business Internet, AT&T and Cisco. 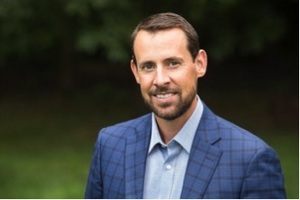 "Eric's ability to serve clients and his team is proven by his recognition year after year for sales records as well as the fact his employees have stayed and grown with him," said Andy Monfried, CEO and founder of Lotame. "Lotame was built on the foundation of the positive and optimistic attitude that Eric exemplifies." Lotame has seen its international revenue increase 300% since 2015, and total customers increase 500%. In 2016, Lotame expanded its product offerings to include audience targeting tools for television, bringing digital intelligence to TV and video. With his knowledge and experience, Eric will be instrumental in continuing to expand Lotame's footprint across the globe. Marterella co-chairs a monthly executive leadership forum called The Leadership Breakfast that promotes excellence in leadership between 1,200 members from the Washington D.C. area. He is a graduate from Virginia Polytechnic Institute and State University and lives with his wife and four sons in the D.C. metro area. Lotame enables companies to use data to build stronger connections with their consumers. Lotame is proud to be the leading independent data management platform (DMP) and offer the most widely used, trusted and comprehensive data exchange in the industry. Committed to innovation, agility and -- above all, customer success -- the Lotame team aims to continuously find new and meaningful ways to help its clients harness the power of data to fuel more relevant and personalized experiences across screens and devices, online and off. Lotame is headquartered in New York City, with resources around the world, including Maryland, San Francisco, London, Singapore, Mumbai and Sydney. For more information, visit https://www.lotame.com.